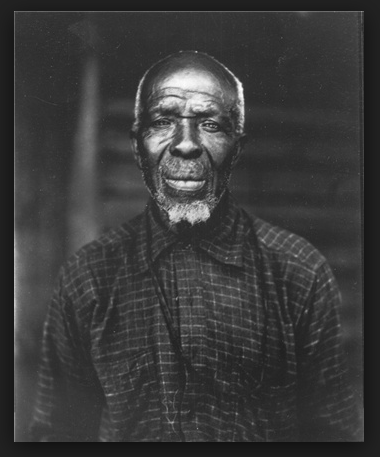 Oluale Kossol, known as Kudjoe Lewis, last surving member of the slave-ship Clothilde, and Africatown, Alabama resident. Unaware I was at the time, but in making our research trip to Africatown, we were following in the footsteps of acclaimed writer and folklorist Zora Neale Hurston who visited in 1928 in order to interview the last remaining formerly enslaved man in America, Africatown resident Cudjoe Lewis. Originally born in what is now Benin, Cudjoe Lewis was born Oluale Kossola and captured in his early twenties to be part of the cargo of the Clothilde, the last ship to transport captured Africans to the United States. December 8, 2015 – Joe Womack of Africatown, Alabama. You can read more about the lives of the passengers of the Clothilde in the book by author Sylviane Anna Diouf, Dreams of Africa in Alabama. Today, the descendants of Africatowns original settlers are some of the few African Americans who can trace their lineage back to Africa. Urban Waterways researcher Katrina Lashley and I met with Joe Womack, a local activist in the Africatown community at the old Mobile County Training School, the local high school, where the Africatown historical collection is housed in a cinderblock building used for events called, “The Den.” There the community works to preserve their history and maintain their community, while protecting it from ongoing environmental concerns. 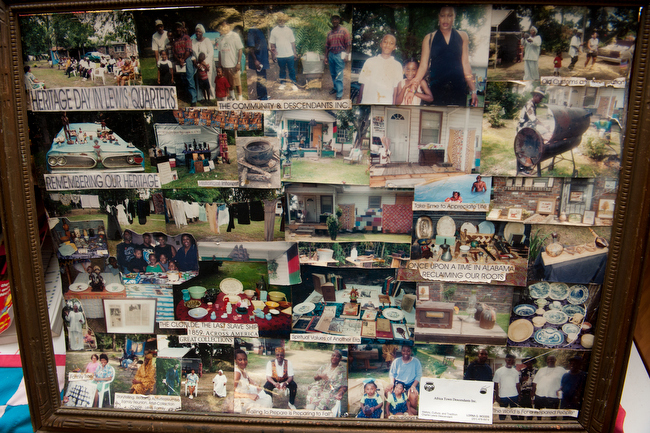 The various displays preserving Africatown’s history, lineage, an individuals are testament to the pride this community takes in sharing their heritage, and the tenuousness with which they have been supported in their efforts to preserve this historical village. 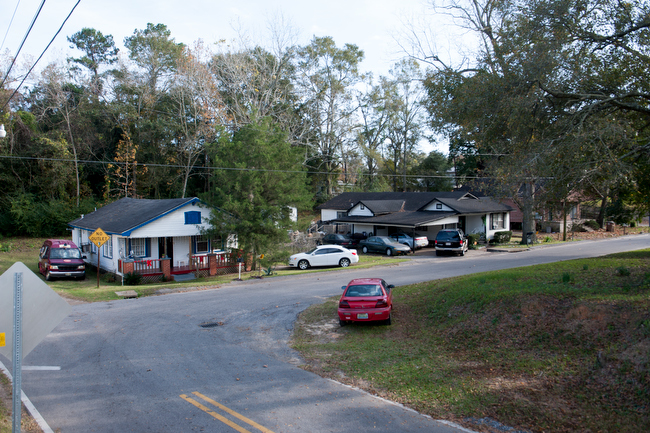 December 11, 2015 – The Mobile County Training School in Africatown, Alabama. This is the local high school of Africatown. December 11, 2015 – The Mobile County Training School in Africatown, Alabama. 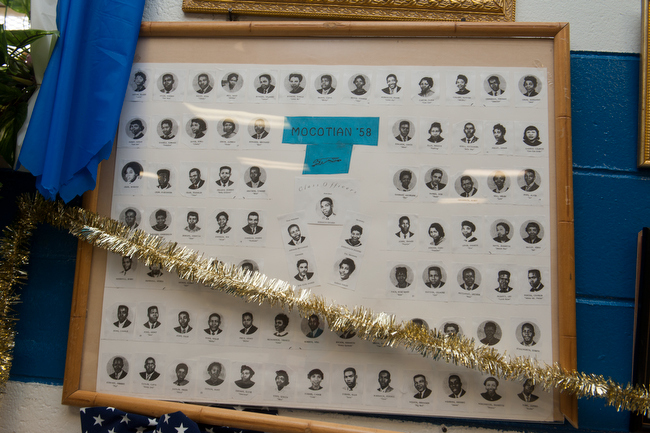 December 11, 2015 – The MCTS Class of 1969. 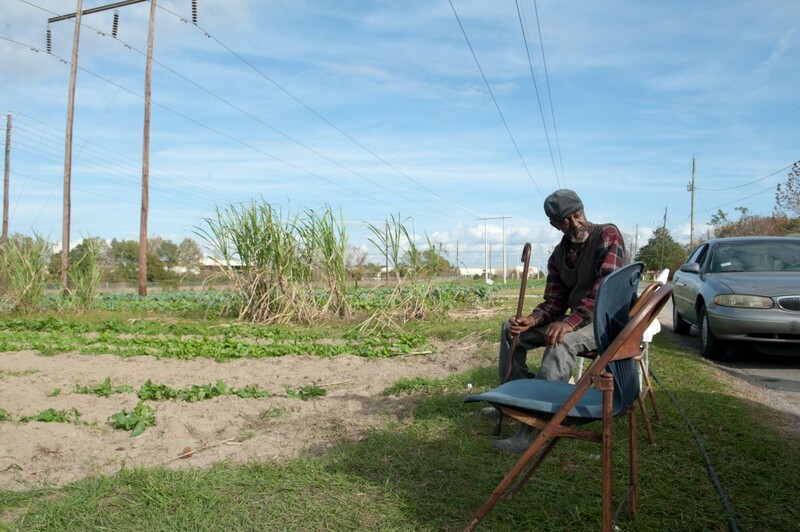 December 11, 2015 – A memorial to William Clark, community servant of Africatown. Mr. Clark served 26 years in the Alabama House of Representatives in the district that serves Africatown. December 11, 2015 – The Class of 1958. December 11, 2015 – Commemorating Heritage Day in the Africatown neighborhood of Lewis Quarters, a historically significant subdivsion, now cut off from the rest of Africatown by lumber mills. 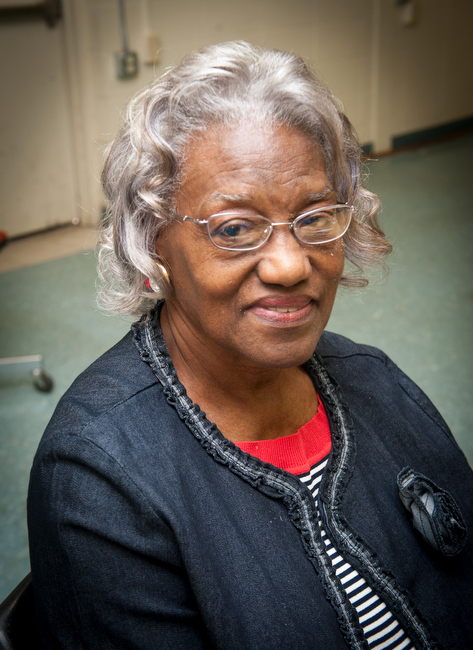 December 8, 2015 – Mary Louise Moorer of Africatown, Alabama. After we interviewed and recorded several residents stories, including Mary Louise Moorer, pictured above, Mr. Womack gave us a tour of the greater Africatown environs. The first stop was the large community garden that Africatown residents use for sustenance. 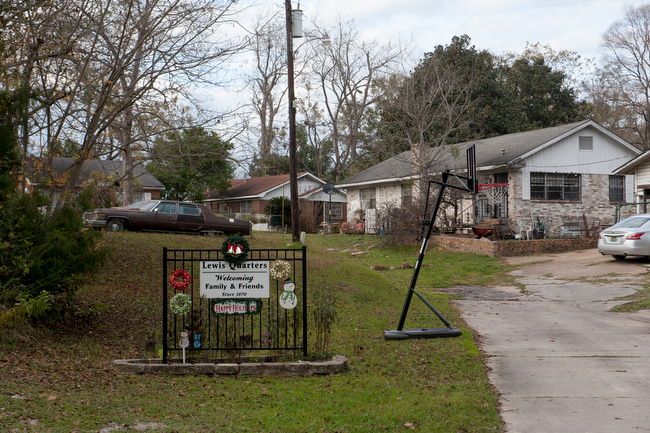 December 11, 2015 – Homes in Africatown, Alabama. 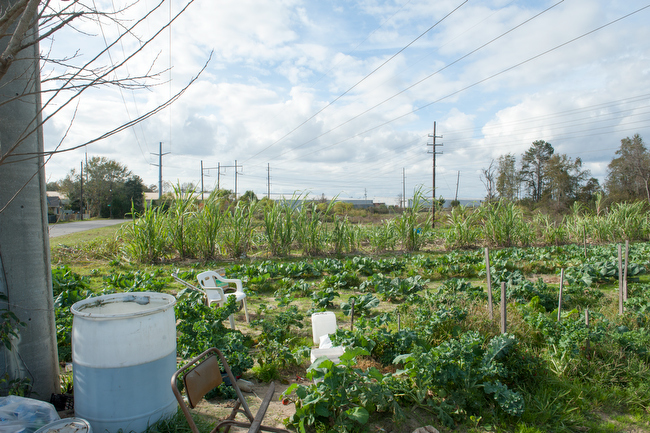 December 11, 2015 – The community garden in Africatown, Alabama grows collard greens, sugarcane, and other produce for local residents. 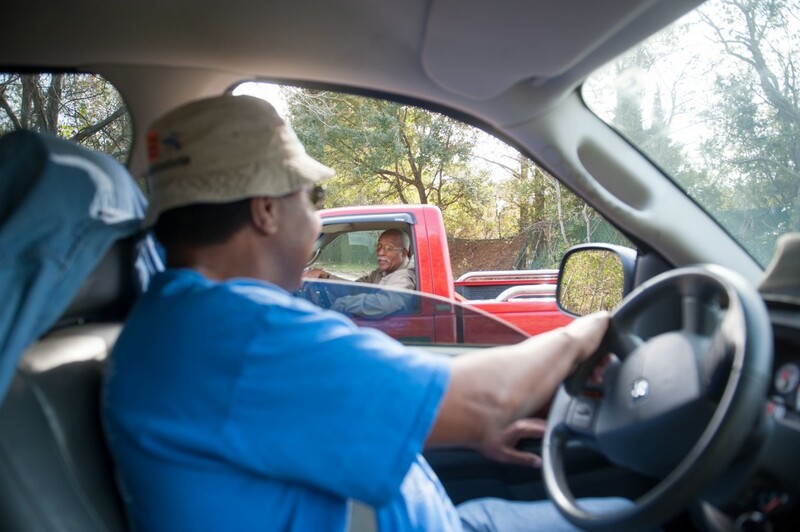 December 11, 2015 – Joe Womack of Africatown, Alabama, tours the neighborhood. 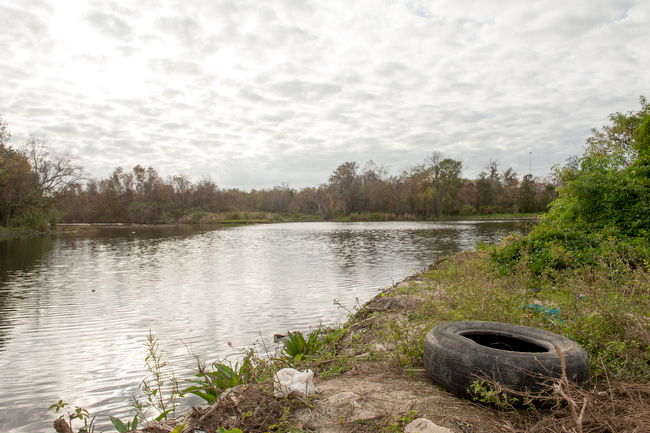 Nearly every waterway appeared to be flanked by industry: Scott Paper, tank farms, Plank Marketing’s storage tanks holding environmental waste imported from Canada line the shores of the Mobile River near Magazine Point, a part of Africatown. These original tracts of Africatown have been cut off from each other by development, as in the case of the neighborhood of Lewis Quarters. And Africatown is not alone. 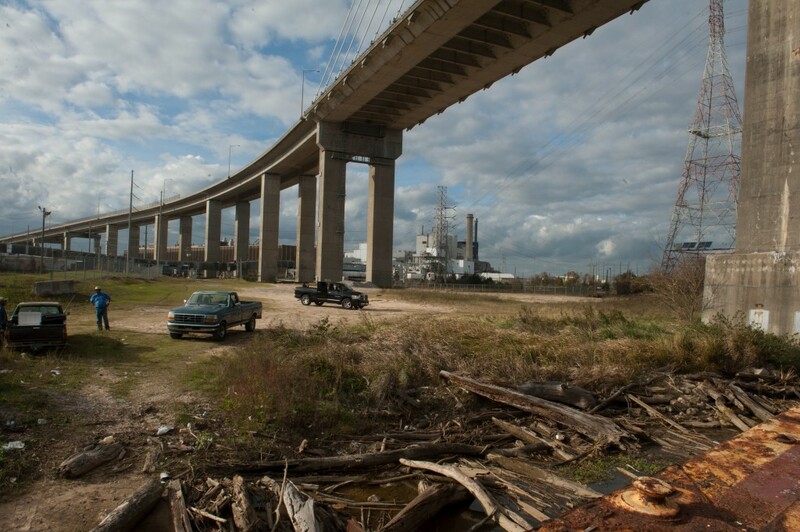 Uniting with environmental and social justice activists along the coast, Africatown is sharing stories through outlets like Bridge the Gulf, and building awareness for their precarious existence not far from the shores of the Mobile River. 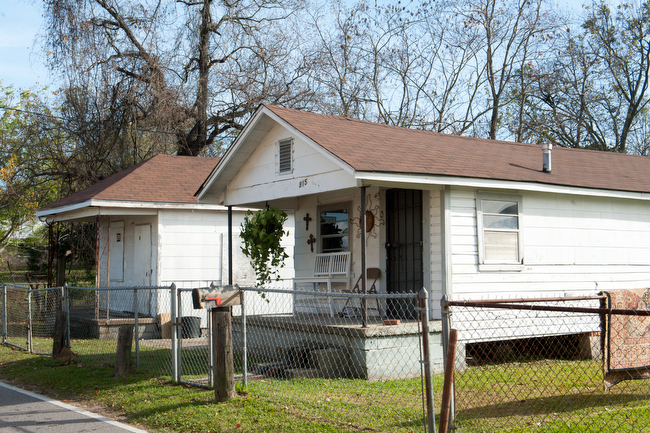 December 11, 2015 -Homes in Africatown, Alabama. 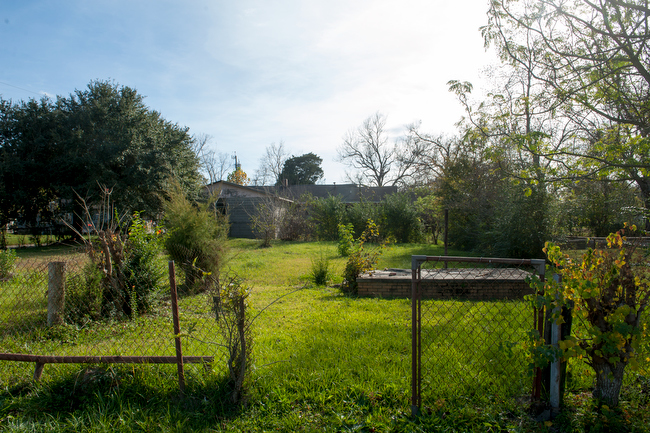 December 11, 2015 – The Mobile County Training School garden in Africatown, Alabama. 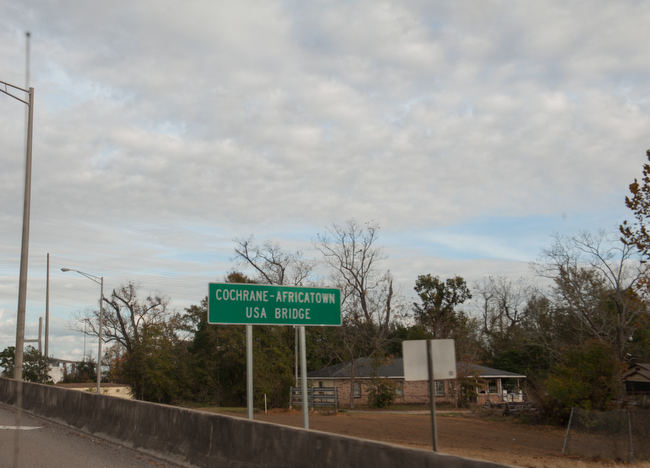 December 11, 2015 – The Cochrane Africatown USA Bridge, rebuilt to span 2 miles, bifurcates the historic Magazine Point neighborhood of Africatown, which was named after the Civil War munitions storage facility that exploded on that site. December 11, 2015 – The Africatown Bridge, spans two miles, and is flanked by the Mobile River, container farms and industrial plants. 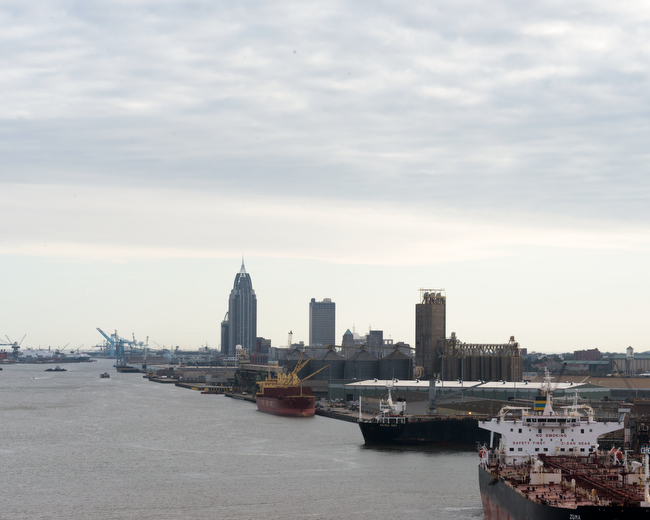 December 11, 2015 – Containers and cargo line the shoreline of the Mobile River near Africatown, Alabama. December 11, 2015 – The entrance to Lewis Quarters. 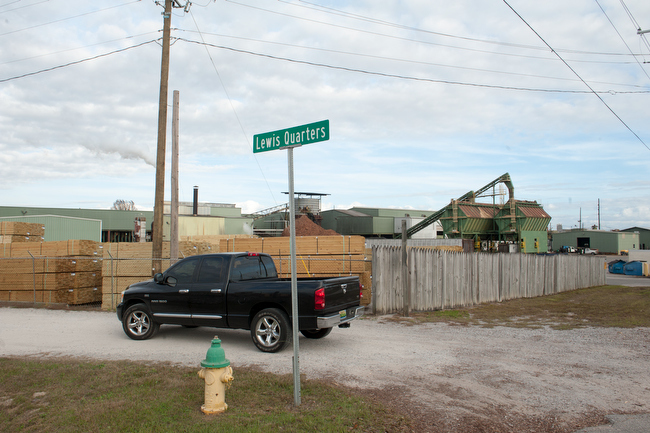 The entrance of Lewis Quarters, built by the descendants of Cudjoe Lewis, is cut off from the rest of Africatown by a meat packing plant and lumber mill, which cause environmental degradation to the immediate environs. December 11, 2015 – Lewis Quarters today. December 11, 2015 – Three Mile River, near Lewis Quarters, a tributary to the Mobile River. This is just a brief overview of the historic community of Africatown, Alabama, a Gulf Coast community struggling to preserve itself while facing the challenges of industry, development, politics and resources.